The magnitude of success we have accomplished is largely because of our sound infrastructure. 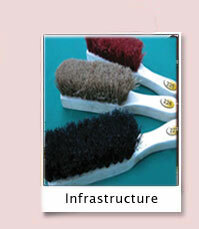 We have a long & dexterous work force engaged in making some of finest Brushes the industry has to offer. Our labour force, with the best gadgets at their disposal, work long hours to meet the clients demand. Individual skill with the amount of time put in, by each one of them, makes them some of most efficient workers of the Brush industry. Madhavammal Brush Work Exports has a team of workers. They work on the palm & Coco trees to produce the best quality products. Apart from a well equipped production house, we have a very satisfied work force, which in turn produces satisfactory results for our valued buyers. They work with full devotion and enthusiasm that governs our imagenew as an employer-friendly organization. All the products of the company are made using the best quality raw materials. 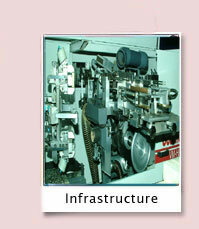 Each of the products is manufactured as per international quality standards. The products are scrutinized at every stage of production to ensure that only the best products leave the factory. The company's products stand out amongst the counterparts for our original craftsmanship and intricate work. Each of these items is a unique blend of contemporary designs and developments. The company possesses the ability to undertake customization of designs and construction of its products to suit the requirements of the clients.